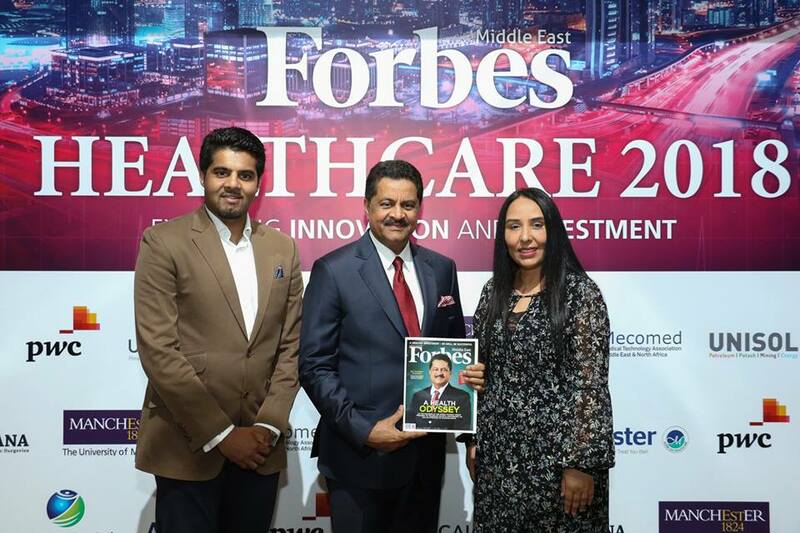 Dr. Thumbay Moideen, the Founder president of Dubai-based diversified global conglomerate Thumbay Group has been featured on the cover of the latest issue of Forbes Middle East released on 31st March 2018; a ‘Healthcare’ special issue. 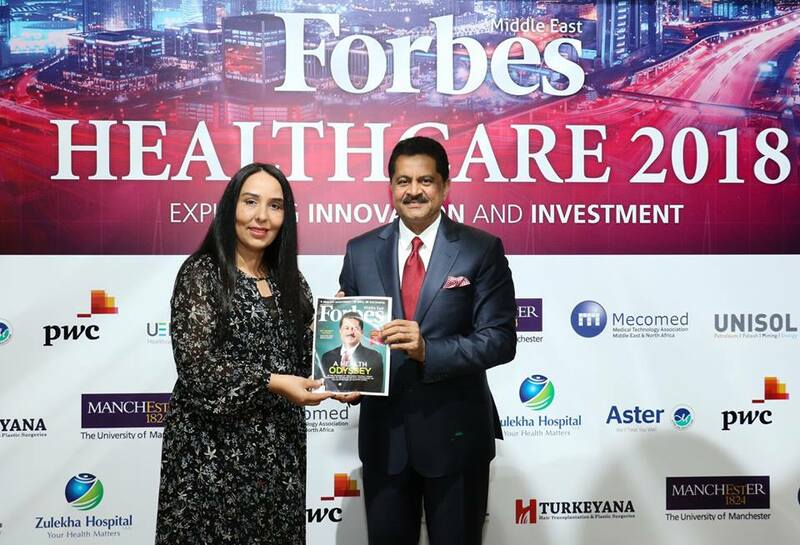 Forbes ME, one of the most widely read business magazines in the region introduces Dr. Thumbay Moideen as the founder of the “iconic” Thumbay Group who, as he prepares to celebrate his 20th anniversary, “has no intention of slowing down,” referring to the strategic global expansion of the group. 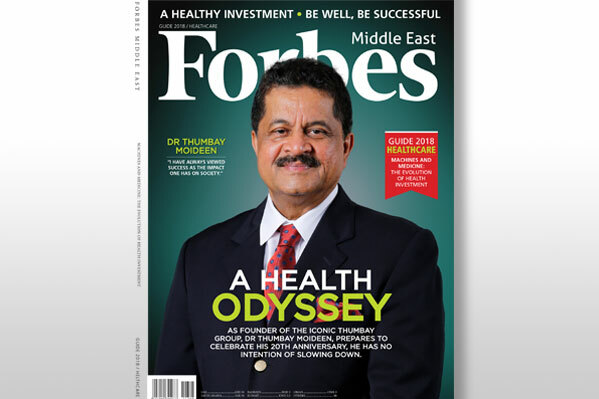 Titled “A Health Odyssey,” the cover story traces Dr. Thumbay Moideen’s journey to becoming one of the most admired businessmen in the region, right from the time he established Thumbay Group with the region’s first and only private medical university in Ajman – the Gulf Medical University in 1998, followed by his foray into 20 sectors of business including healthcare, research, real estate, wellness, hospitality, retail etc. Answering questions on the growth of his core sectors, Dr. Thumbay Moideen reveals that Thumbay Group’s Gulf Medical University (GMU) attracts students from over 80 nationalities and faculty/staff from 25+ nationalities. 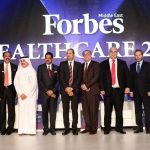 “GMU and the Thumbay academic hospital network together train close to 20% of the doctors and around 60% of the healthcare professionals in the UAE. 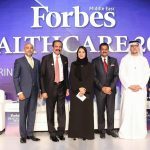 The fact that Thumbay Hospitals are teaching hospitals gives us a competitive advantage—it ensures that our hospitals have highly qualified and experienced doctors, as well as cutting-edge technology and equipment,” he explains the USP of Thumbay Group’s education and healthcare divisions, revealing that the hospital network with presence throughout the UAE and in Hyderabad-India, treats patients from over 175 countries. Dr. Thumbay Moideen describes ‘diversification’ as one of the group’s key strategies. The group today has businesses in Education, Healthcare, Medical Research, Diagnostics, Retail Pharmacy, Health Communications, Retail Optical, Wellness, Nutrition Stores, Hospitality, Real Estate, Publishing, Technology, Media, Events, Medical Tourism, Trading and Marketing & Distribution. 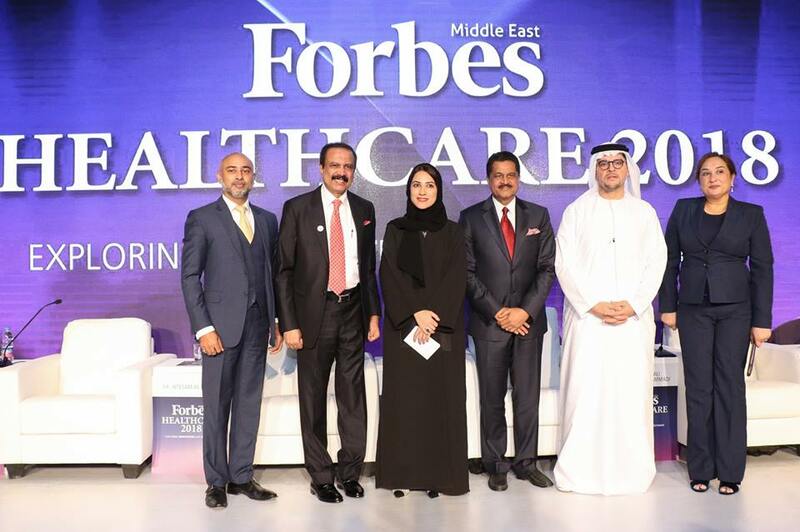 He also talks about Thumbay Group’s pioneering role in the UAE’s medical tourism industry. 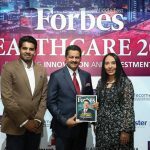 He mentions the growth of Artificial Intelligence (AI) as one of the most exciting innovations for the future, adding that Thumbay Technologies is venturing into partnerships with leading AI providers to explore and develop innovation in medical education and healthcare. 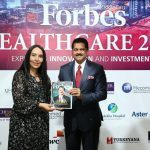 By 2022, Thyumbay Group also plans to add 25 more Thumbay labs, 100 Thumbay pharmacies, 40 Zo & Mo Opticals outlets, 100 Blends & Brews coffee shops, 25 Body & Soul health clubs and 50 Nutri Plus Vita stores, according to Dr. Thumbay Moideen.